The Tampa Bay Lightning re-signed defenseman Vladimir Mihalik (mih-HAHL-ihk) and signed free agent blue-liners Mathieu Roy (WAH) and Mike Vernace (vuhr-NAYS) to one-year, two-way contracts today, Vice President and General Manager Steve Yzerman announced. Mihalik, 6-foot-7, 244 pounds, played in 75 games with the Norfolk Admirals last season, recording two goals and 18 points. He ranked third among Admirals defensemen for points and was tied for fourth overall with a plus-6 rating. Mihalik also played in four games with Tampa Bay. Following the regular season he went on to represent his native Slovakia at the IIHF World Championships, where he recorded one goal in six games. A native of Presov, Slovakia, Mihalik has played in 15 career NHL games, all with the Lightning. During his career he has notched three assists. He has also played in 204 career AHL games, all with Norfolk, recording five goals and 49 points with 193 penalty minutes. Mihalik was drafted by the Lightning in the first round, 30th overall, in the 2005 NHL Entry Draft. Roy, 6-2, 215 pounds, spent last season in the Columbus Blue Jackets organization, skating in a career-high 31 games and notching a career-best 10 assists. He also played in 15 AHL games with Syracuse and Rochester, recording four points. Roy also appeared in six postseason games with the Americans, registering 11 penalty minutes. A native of St. Georges, Quebec, Roy has played in 61 career NHL games, notching two goals and 13 points. He has also skated in 256 career AHL games with Syracuse, Rochester, Springfield, Hamilton, Edmonton and Toronto, amassing 16 goals and 95 points. He was named to the Canadian AHL All-Star Team for the Rbk Hockey AHL All-Star Classic during the 2006-07 season. Roy was drafted by Edmonton in the seventh round, 215th overall, of the 2003 NHL Entry Draft and was signed by Columbus as a free agent on July 14, 2009. Vernace, 6-2, 210 pounds, split last season between Chicago and Hamilton of the AHL. He played in 47 games with the Wolves, recording two goals and 12 points. Vernace played in 15 games with the Bulldogs, notching one assist. He also went on to play in 18 playoff games with Hamilton, registering four assists. A native of Toronto, Ontario, Vernace has played in 236 career AHL games with Chicago, Hamilton, Lake Erie and Albany, recording nine goals and 71 points. 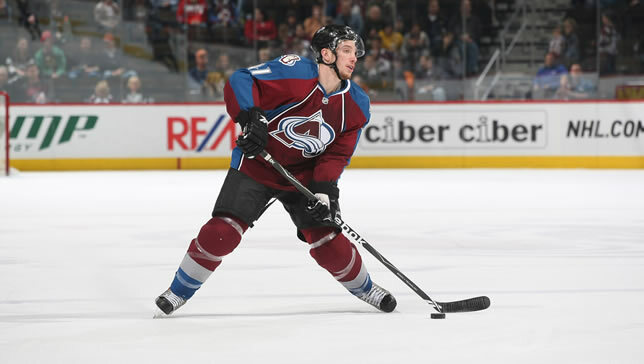 He has played in 12 NHL games, all coming with the Colorado Avalanche during the 2008-09 season. Vernace was selected by the San Jose Sharks in the sixth round, 201st overall, of the 2004 NHL Entry Draft. He was then acquired by Colorado from San Jose in exchange for a sixth-round pick in 2007 on June 1, 2006. Vernace was then signed as a free agent by Atlanta on July 30, 2009.